Here's how you can find and kill the Great Colored Carp in Sekiro: Shadows Die Twice. If you're looking to find and do everything there is on offer in Shadows Die Twice, then you'll want to find and defeat the Great Colored Carp in the Fountainhead Palace. In this Sekiro Colored Carp guide, we'll be detailing where you can find, and how you can go about killing the colossal fish as easily as possible. To begin going about killing the Great Colored Carp, you need to firstly obtain Truly Precious Bait. This is an incredibly rare item, which can only be acquired one of two ways. 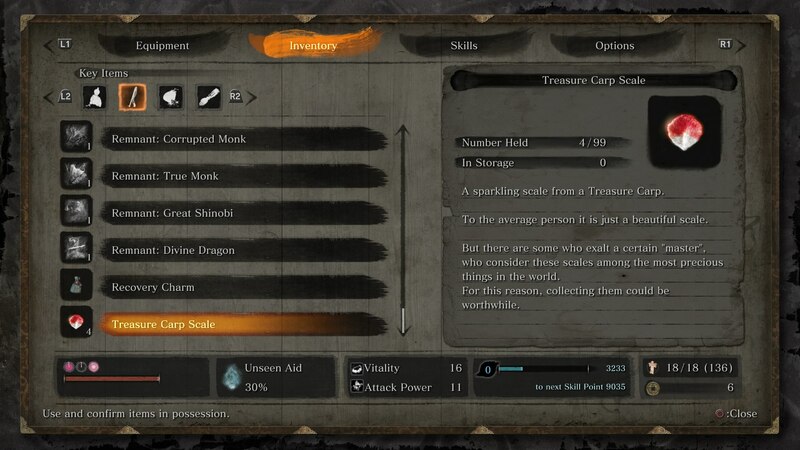 You can get the item by giving Treasure Carp Scales to either of the characters we've detailed below. Pot Noble Koremori - You can find this character, which takes the form of an arm reaching out a barrel, near the Near Pot Noble Sculptor's Idol in Fountainhead Palace. 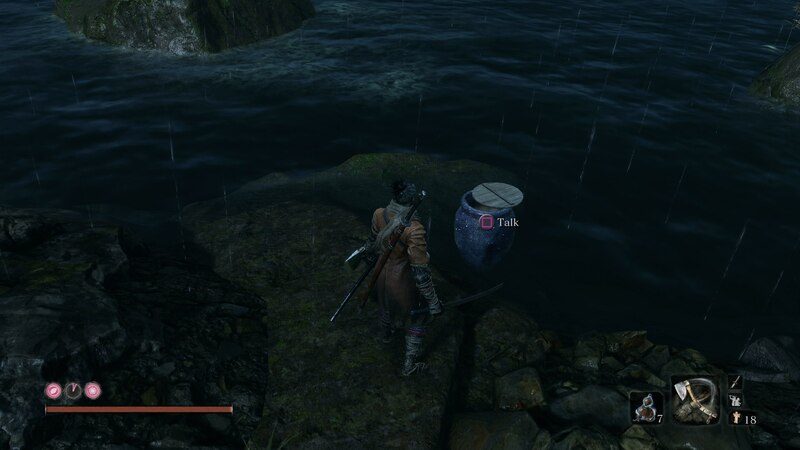 Pot Noble Harunaga - Another character depicted as an arm reaching out of a barrel, you can find this Pot Noble near the bridge leading into Hirata Estate. You can easily find Treasure Carp Scales along the bottom of the lake in Fountainhead Palace. 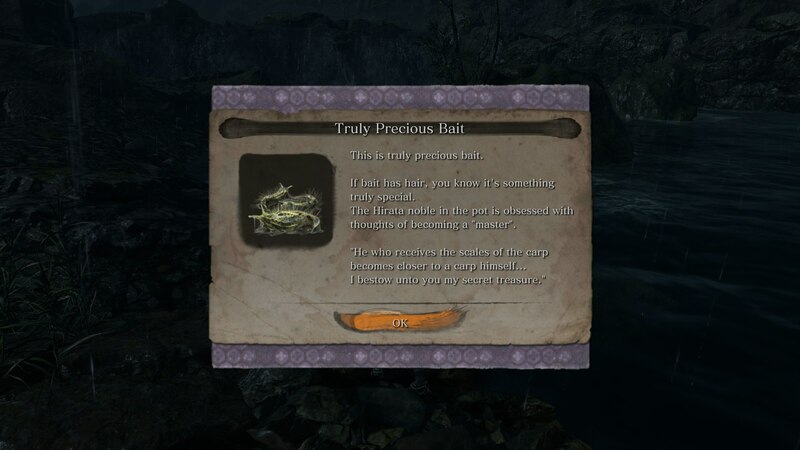 There are seven total Treasure Carp Scales to be found in the lake, which is more than enough to get the Truly Precious Bait item from either Pot Noble. Simply go back to the Pot Noble of your choosing, and trade Treasure Carp Scales with them repeatedly until they give you the Truly Precious Bait. Once you've obtained the Truly Precious Bait, head to the Fountainhead Palace. You need to go to the Feeding Grounds Sculptor's Idol, with the NPC nearby. 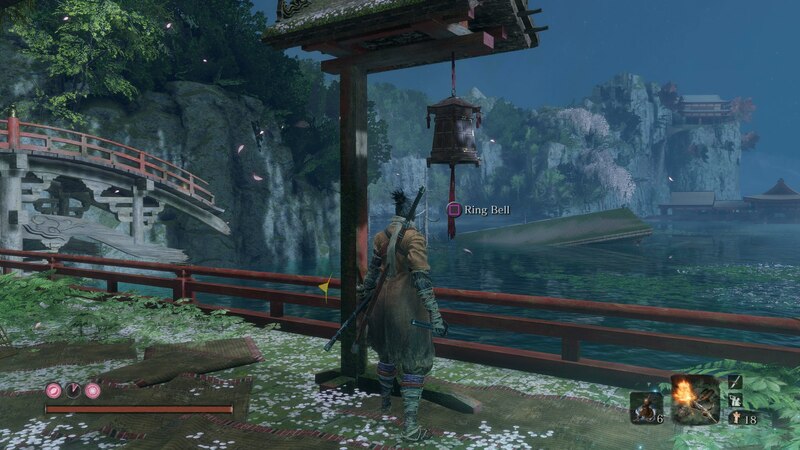 Head over to the bell, and you'll have the option to ring it. When the Great Colored Carp pops up near the edge of the platform, you'll have the option to feed it. Select the 'Truly Precious Bait' option, and the fish will swim off immediately after you've used it. Return to the Sculptor's Idol and travel to the Great Ape's Watering Hole Idol in Ashina Depths. When you get here, you'll find the Great Colored Carp dead on the ground. Turns out feeding it Truly Precious Bait actually killed it. Near the corpse of the Great Colored Carp, you can find an item called the Great White Whisker. Pick it up, and then use the nearby Sculptor's Idol to travel back to the Feeding Grounds. Speak to the NPC, and give him the Great White Whisker. As a reward for bringing him the Whisker, he'll give you some Divine Grass, and this plot strand of Sekiro will be concluded.